2016 Projects: I just got a big arts grant to fund a webcomic I’ve been playing around with, The Baron of Prospect Ave., which is a sequel to my debut book, Punk Rock & Trailer Parks (SLG, 2010). It’s just a labor of love, not something I have any illusions will be a commercial hit. I’ll also be releasing True Stories, Vol. 2, 3 and 4 this summer, thanks to the fine folks at Alternative Comics. I’ll try to work all this in while touring Europe for six weeks to promote the French and Dutch releases of Trashed, my latest graphic novel from Abrams Comicarts, along with a stop at the Angoulême Comics Fest. What was the biggest story in comics in 2015? I’d say the results of the Eisner Awards, and the near total sweep of non-superhero comics. What guilty pleasure (of any kind) are you looking forward to in 2016? My career is one big guilty pleasure. That’s really the only explanation for it. 2016 Projects: Musnet: The Mouse of Monet by Kickliy — previewed below! What was the biggest story in comics in 2015? Ignatz Awards swept by women creators! What will be the biggest story in comics in 2016? Eisner’s will have more diverse creators nominated than ever. What was the biggest story in comics in 2015? The biggest actual story was the reporting done by Janelle Asselin – not just in terms of the actual stories she reported, but the fact she was able to investigate them, find sources, bring forth evidence and get things published. I have to imagine other people are writing about this one, so I’ll leave them to it to avoid this feeling repetitive. Janelle’s been amazing once again this year, though, and I hope we all appreciate what she does! One thing I think was a big story which isn’t particularly being reported on is Vertigo’s 2015. This was a part of DC which, at the start of the year, was skating towards an open hole in very thin ice. They had The Unwritten and Fables left, but both comics were known to be ending. With their finales – and Karen Berger having long gone – we all assumed that’d be the end, and Image would take over. And while Image have claimed several Vertigo talents for their comics (you have people like Grant Morrison over there now, for example, although Peter Milligan and Garth Ennis seem thoroughly resistant to joining him) the imprint as a whole has made a surprise recovery in the latter half of 2015. They’re doing new stories which feel like they fall into the Vertigo wheelhouse without being old-fashioned. Maybe it’s a bit ‘team comics’ for me to focus on that, but I’m happy to see as many venues as possible for people to tell stories. What will be the biggest story in comics in 2016? I think it’s going to be “other media” expanding into comics, after years of it being the other way round. We’ve had to watch as some great and many poor comics were bought and sold for television and movies – all the time wondering if these producers had ever read the projects they were ostensibly going to now have to make coherent for the screen. And the bigger companies have been spending the last few years cutting apart their comics universes in order to accommodate these other media elbowing on their territory. The Fantastic Four are gone, Amanda Waller is a waif, and so on. This coming year I think we’re going to see things strike in the other direction. 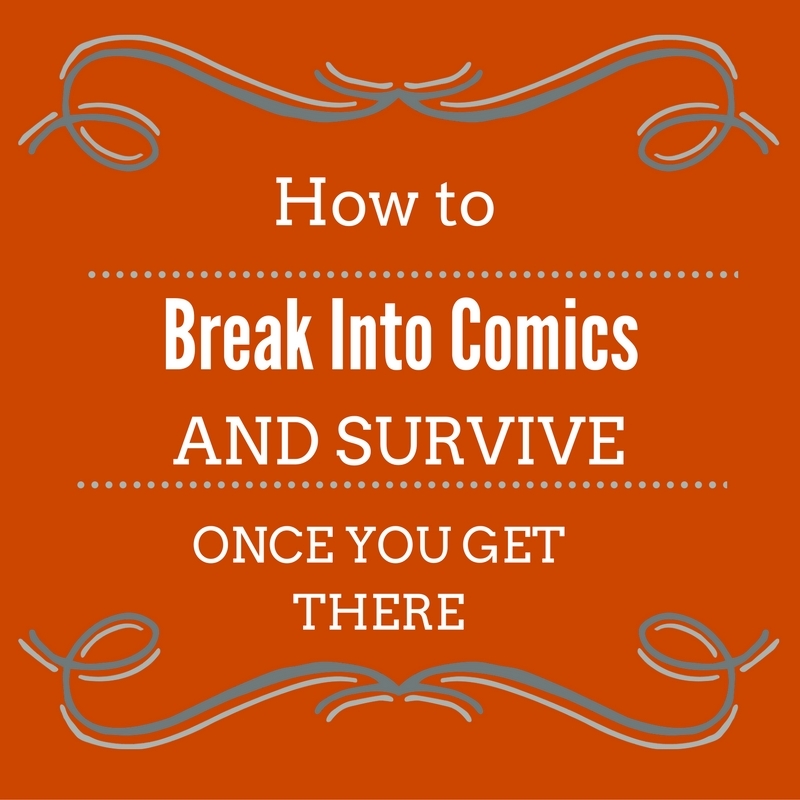 As people grow more used to comics – not just superheroes, but other comic adaptations which have been produced over the last few years – we’re seeing them migrate into this industry. Margaret Atwood’s interest in comics is no new thing, but her decision to start making them? That’s interesting. Likewise, we have people like Philip Pullman announcing a new comic for kids which he’ll serialise across 2016 with Fred Fordham. William Gibson has a project at IDW, too. We’re seeing established authors and creatives turning their minds to comics, and it’ll be interesting to see what that type of crossover means for the medium as a whole. What was the biggest story in comics in 2015? The multiple murders at the Charlie Hebdo offices in Paris. What will be the biggest story in comics in 2016? I hope it isn’t a NRA-sponsored shooting spree at a comics-related event in America, but I wouldn’t be surprised. What guilty pleasure (of any kind) are you looking forward to in 2016? The bizarre TV shows I am addicted to like Vikings, The Leftovers, The Knick, True Detective, etc. 2016 Projects: Kings and Canvas is a monthly, ongoing digital comic by myself Jake Allen and Frank Reynoso, published by Monkeybrain Comics and released via Comixology. Punching his way out of prison, Mammoth journeys across a changed frontier in which honor is gained not by using weapons but rather fists and wits, to dethrone an unjust monarch and win back both title and family stolen from him years before. “Game of Thrones meets Rocky Balboa,” but with sea dwarves, rhinoceros-mounted kings, boxing polar bears and a healthy dose of revenge, Kings and Canvas journeys across the frontier of a changed America in which honor is gained not by using guns or swords. but rather fist, wits and the courage to change. The comics can be purchased here (issues #0-2 are currently for sale. Issue #3 comes out on1/13/2016). I’m also co-writing Powers: The Secret History of Deena Pilgrim with Brian Michael Bendis, the first ever prose novel set in the world of the award-winning, critically-acclaimed comic book series by Bendis and artist Michael Avon Oeming. Powers tells the stories of human police officers attempting to solve crimes in a world inhabited by superheroes and supervillains. In January 2015, the Playstation Network debuted it as its first-ever hour-long scripted programming, featuring characters and plots from the comic book series. When a cold case reopens a series of unsolved murders that point back to Deena Pilgrim’s family tree, she is forced to question the choices, decisions and steps she’s taken in life, love and career— including her partnership with Walker, a former Power whose secret history intersects with Deena’s own. Deena must bring a killer to justice and in doing so, come to terms with the kind of cop she wants to be…assuming that she wants to continue being a cop at all. The novel hits stores on March 15, 2016 and you can preorder it here. Finally, I’ll continue to art direct Topps Digital’s suite of trading card apps including Star Wars Card Trader, recently chosen by Gizmodo as one of the Top 20 apps of 2015. Collect and trade your favorite Star Wars characters from across the galaxy, including vintage 1977 Topps Series 1 cards and original designs featuring character from Star Wars: The Force Awakens. Download it today. What was the biggest story in comics in 2015? I’ll say the exposure and focus on “behind the scenes” and mostly hushed up inappropriate behavior permeating the comic book industry. This was the year in which conventions had to publicly dictate harassment policies, and long-known but rarely discussed dirty laundry was aired in the harsh light of day. It seemed like every day another scandal found it’s way onto social media this year — maybe because of media attention on things like GamerGate or perhaps because tolerance finally wore away and enough is freaking enough. Comics needs to be a safe space for everyone. And that might never happen. But I think this was the year that everyone just decided to stop tiptoeing around the situation and start naming names and calling for action. What will be the biggest story in comics in 2016? You really started to see it happening this year—what with Panel Syndicate, Monkeybrain, Thrillbent, ElectriComics, Comixology Submit, and now Stela—but I can totally see the digital space becoming the next playground for engaging, unique creator owned comics from some of the heavy hitters…projects they may have at one time taken to an Image Comics or traditional, creator-friendly print publishers. Not that I’m saying Image or the like will hurt from it….I just think we’ll have a more balanced offering between each from well-known, name creators. What guilty pleasure (of any kind) are you looking forward to in 2016? DC’s Legends of Tomorrow, especially if it’s an anthology format. More Archie and Jughead from Waid/Staples and Zdarsky/Henderson. Finally getting my hands on a BB-8 Lego minifig, along with some of the more unique denizens of The Force Awakens. Lots more digital trading card offerings from Topps Digital. 2016 Projects: SUPERZERO for Aftershock comics, HARLEY QUINN and STARFIRE for DC Comics and DELETE for First Comics. What was the biggest story in comics in 2015? I think girl power. 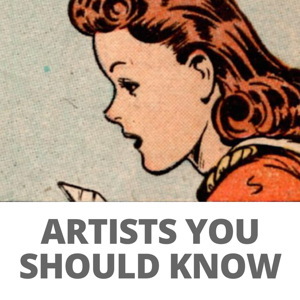 Female creators, female characters and a much more diverse audience. What will be the biggest story in comics in 2016? Creators stepping out to do creator owned, as always, is the biggest story of any year. What guilty pleasure (of any kind) are you looking forward to in 2016? For me, both Painkiller Jane and Monolith making it to the big screen [hopefully] , my website now selling my books, digital and print and spending June in Italy, doing a couple of cons and taking a break. What was the biggest story in comics in 2015? Actually, I think the biggest story in comics for 2015 was that there was NO biggest story. Everything from convention issues, to comic books, to movies, to TV shows, to the retcon of comic universes, to new company positions and beyond kind of came and went. Which is actually a good thing. That’s the sign of a stable industry that can’t be knocked off the perch by a mere single event or breaking news. Sure I could point to a number of key incidents in 2015 — from sexual misconduct to worrying about how to charge for sketches, but the fact is the comic industry remains strong and healthy. Sure we want more growth and new talent to step up, sure we want to improve diversity and the safety of cosplayers, but give it time because we’re going in the right direction. 2015 might be that solid stepping stone in a river of chaos for true stability and mass acceptance and respect that we’ve all worked for. What will be the biggest story in comics in 2016? This is getting harder to determine with each passing year. We wanted acceptance for the medium, we are getting it. We wanted movies, TV shows, etc… we are getting it. We wanted change in the old comic universes and more diversity, we are getting it. Heck, we even wanted Wonder Woman in the movies, and we’re getting that. So the biggest story for 2016 might be *bad news*. I hate to say it, but it’s like we almost have it too good right now. I doubt the bubble will burst, but we might see the industry level off across the board. Which isn’t a bad thing, because it adds stability and encourages new ideas and growth. What guilty pleasure (of any kind) are you looking forward to in 2016? Going to conventions. Seeing readers and meeting other professionals. 2016 Projects: a sci-fi graphic novel I don’t want to talk about too much just yet. What was the biggest story in comics in 2015? For me, Fantagraphics publishing a collected English translation of THE ETERNAUT by Héctor Germán Oesterheld. What will be the biggest story in comics in 2016? I’m not so sure about the biggest, but I am personally excited about the new arc for INJECTION by Warren Ellis and Declan Shalvey. What guilty pleasure (of any kind) are you looking forward to in 2016? Spending a good chunk of my time watching old movies in 35mm at The New Beverley Cinema. What was the biggest story in comics in 2015? Sadly, Charlie Hebdo. On a less tragic note, that SPX female Ignatz sweep was an amazing moment. So many incredible woman creators like now. What guilty pleasure (of any kind) are you looking forward to in 2016? Following the Knicks & Mets. it is inexplicable I should care about the fortunes of these teams and athletes yet it gives me great pleasure. 2016 Projects: Drawing Grandville Force Majeure, the 5th and final Grandville volume. The 3rd collaboration with Mary, The Red Virgin and the Vision of Utopia is published in May 2016. 2016 Projects: Still co-writing and drawing Skin Horse with the brilliant Jeffrey C. Wells. Looking forward to my Patreon reaching $2,000 so I can restart my X-Files commentary comic Monster of the Week. Look for my non-comics writing in the anthology Funny Science Fiction, the next volume of Unidentified Funny Objects, and anywhere high-quality fiction about demon clowns and coffee can be found. What was the biggest story in comics in 2015? Women finally having no more patience with the nonsense and straight-up taking over the industry with amazing comics. What will be the biggest story in comics in 2016? Hopefully the Cartoon Art Museum’s triumphant return to a swanky new location. What guilty pleasure (of any kind) are you looking forward to in 2016? Hardly guilty, but you’d better believe I’ll be watching all those new Mystery Science Theaters. 2016 Projects: “Musnet: The mouse of Monet”, by Kickliy. It’s the story of a young boy mouse that finds Monet’s gardens in Giverny: the boy mouse gets introduced to painting and finds himself caught up in its spell. Book one (of 4) “Spring” is due in May. 56 pages. First preview page revealed above. Europe Comics. A digital partnership from several European publishers. A selection of titles that haven’t been translated to English so far, are or will be available through Izneo. 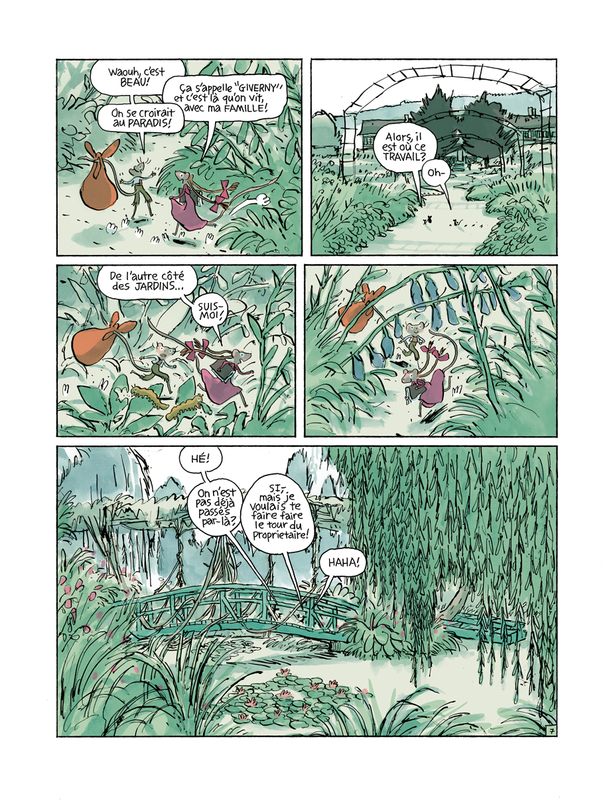 I’m really happy that Claire Bretécher, one of the greatest French cartoonists ever, will be translated to English. She’s a giant of the art form, period. Roland Barthes said once she was “the best sociologist of the country”. What was the biggest story in comics in 2015? Charlie Hebdo. For many different reasons. What will be the biggest story in comics in 2016? New Neil Gaiman’s adaptations to comics ?